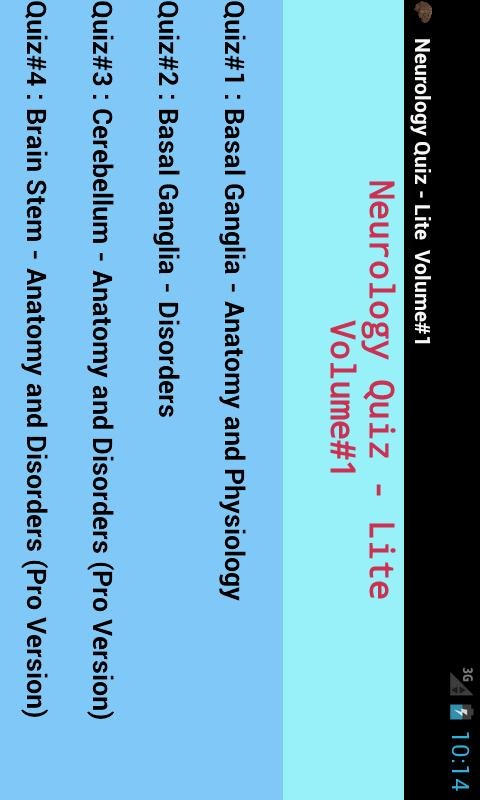 Neurology quiz has been designed with an intention of easy recapitulation of the subject.Neurology is a vast subject with myriad terms; remembering and recalling them is a tough job.This quiz will be particularly useful for students of medical and allied health sciences such as physiotherapy, occupational therapy, nursing etc.This quiz has been divided into chapters and volumes that focus on each part of the nervous system and related diseases. 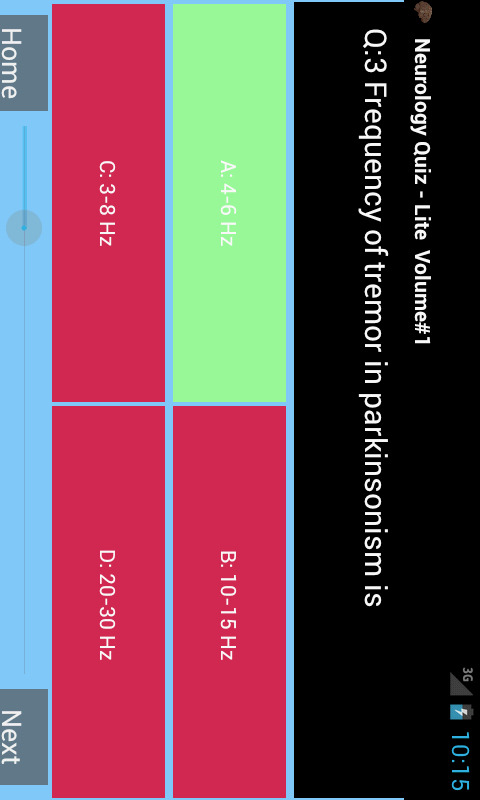 This question bank is slated to be distributed in volumes - comprising of this free Lite version and remaining pro-versions.The pro-versions shall soon be available in several volumes averaging 70 questions per volume.If you are satisfied with the quiz quality then please LIKE its page on Facebook and/or rate on Google Play/ Market.Although due care has been taken in providing accurate answers, however should you find any ambiguity/ incorrectness then please mail your feedback/ suggestions at contact.neurologyquiz@dipandro.com. So now no more panic stricken faces before the exams !